Java Entwickler, Clear-Intec Sp z o.o. - Aplica pe eJobs! "Ein Unternehmen ist nur so gut, wie seine Mitarbeiter" - das ist die Leitlinie unserer Personalpolitik. Seit über 20 Jahren realisieren wir eine Vielzahl innovativer IT Projekte. Wir überzeugen unsere Kunden als zuverlässiger IT- und Ingenieur- Dienstleistungspartner durch Kreativität, Innovation, Zuverlässigkeit und höchste Qualität in allen Projekt-Prozessen. Werden Sie ein Teil unseres Teams in Deutschland! 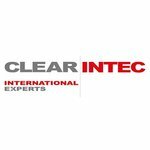 CLEAR INTEC is a part of CLEAR GROUP, one of leading service providers in Germany, offering IT and Engineering solutions to clients from the top of the Fortune Global 500 list. We’re particularly proud of being a service provider to many prestigious brands and supporting cutting edge technologies from development to a manufacturing stage. Our engineers are part of innovative workplace culture through leading and taking part in projects from inception to completion. Our polish branch specializes in supporting teams working on projects in Germany, in terms of searching for top talent and hiring IT and Engineering professionals from around the world. As our project teams are constantly growing, we put our employees’ career development in focus and make sure they enjoy all the perks of working for one of the best rated employers in Germany. Java Entwickler - Clear-Intec Sp z o.o.